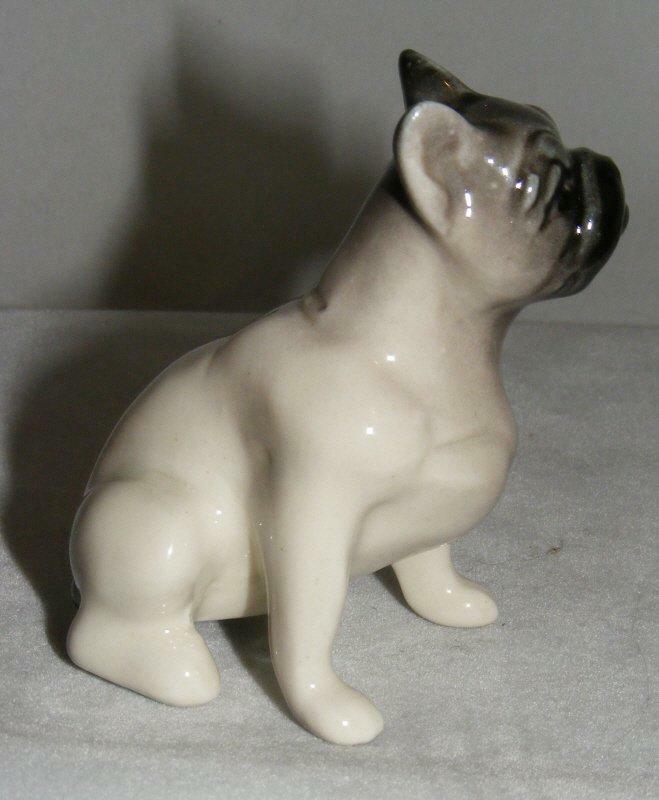 This delightful French bulldog measures approximately 7 x 4 x 6 cm (about 2.75 x 1.5 x 2.25 inches) and will appeal to collectors everywhere. The Scitalis porcelain factory is situated in Astrakhan, in southern Russia. It started producing beautiful animal figurines in 1991, during the "Perestroika" period. Production of the animals is being developed continuously and the factory now produces over 200 items. Each piece is carefully hand painted, so no two are exactly the same and colours may vary slightly from one piece to another. The factory mark, a stylised Russian "S" (which looks like an English "C"), appears on the base of each animal.